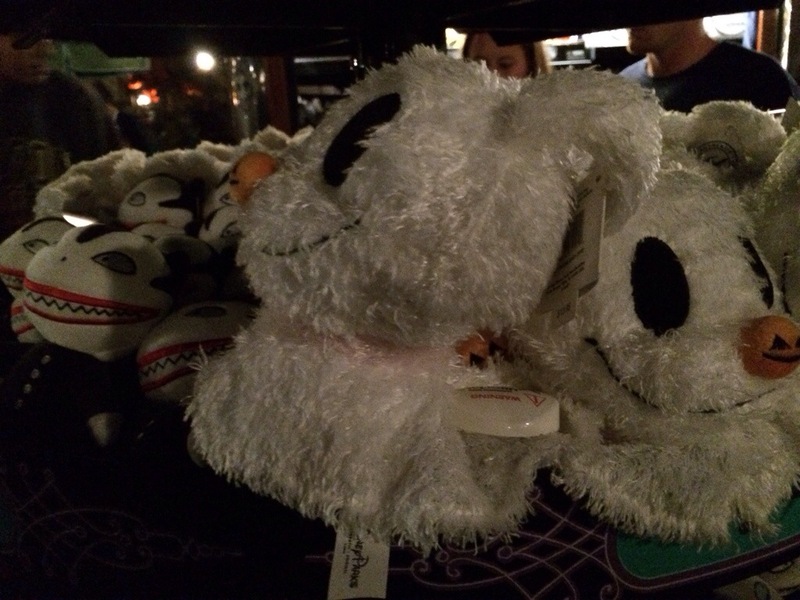 On my last trip in December, I came off the haunted mansion ride and something white and fluffy immediately caught my eye. In the gift stand near the exit of the ride, on the other side of the walkway, there was a little gift stand with a tower of these on display. 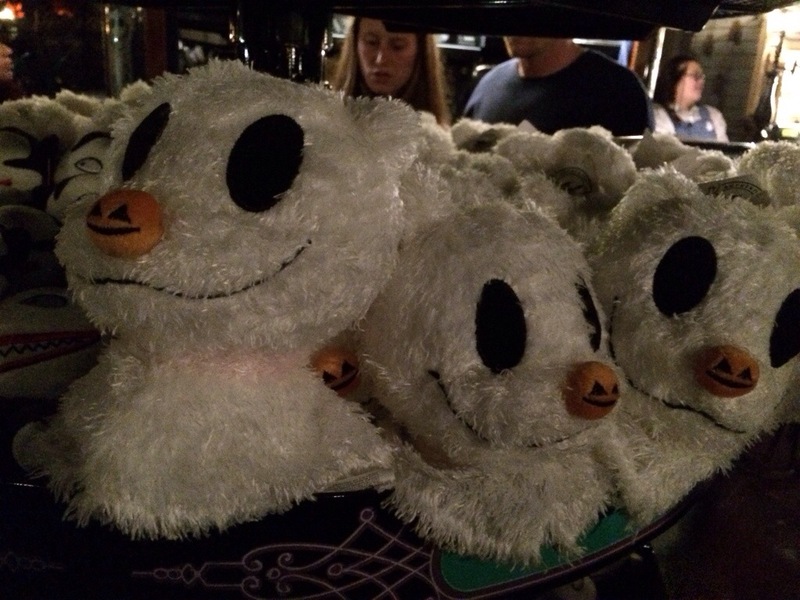 Zero the ghost dog plushies! They’re super soft and furry, with a pudgier, “cuter” proportion. What a great multi-holiday gift for any Tim Burton fan!